Seriously. I'm entering my third trimester at the end of this week and the two pairs of work-appropriate RTW maternity pants that carried me through my first and second trimester (I grew out of the unzipped regular pants under a belly band REAL quick) have given up on my belly. My single pair of maternity jeans (which are more of a rollup full panel style) are barely holding on but they're only good for casual Fridays. I'm not really a pants girl to begin with so I'm wondering if now that it's getting warmer I can make it through the next three months on skirts and dresses alone? 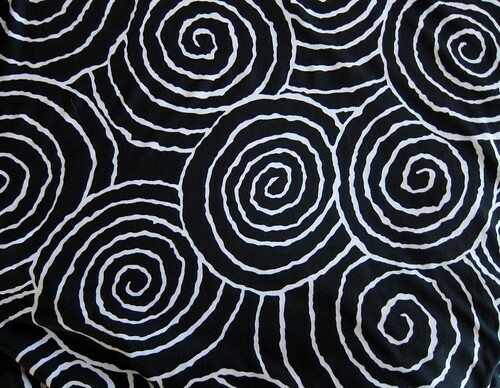 And I'll ditch the flounce as it might interfere with proper hypnotic appreciation of spirals. 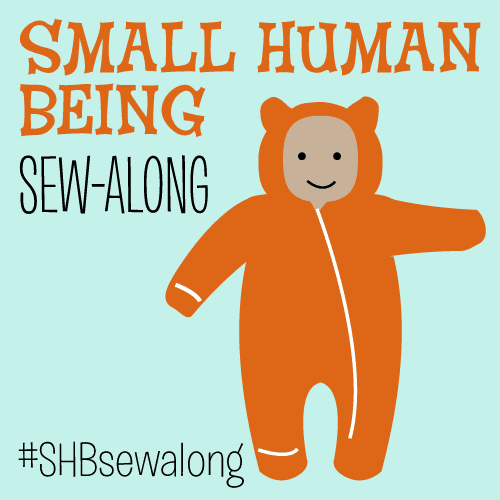 It should make a super-quick interlude between cursing over my mini-wardrobe muslins this weekend. Recently, I came across this post: http://presserfoot.blogspot.com/search/label/maternity%20jeans - Have you seen it? The black and white fabric is gorgeous. Can't wait to see it made up! I don't see why you couldn't get through wearing only skirts and dresses. You could always wear thick tights under a cute skirt on a cold day and use layers of tops/cardigans/t-shirts over skirts and even dresses, depending on style. Some dresses look really great with a simple cardigan/jacket over the top. I wore skirts almost the whole nine months. I did need some maternity "yoga pants" towards the end when I could only get into one skirt (as if I could have done yoga at that point). At that point I'd have worn pajamas all day...and sometimes did. You could definitely get by on skirts and tops (and the orange dress!) if you want! 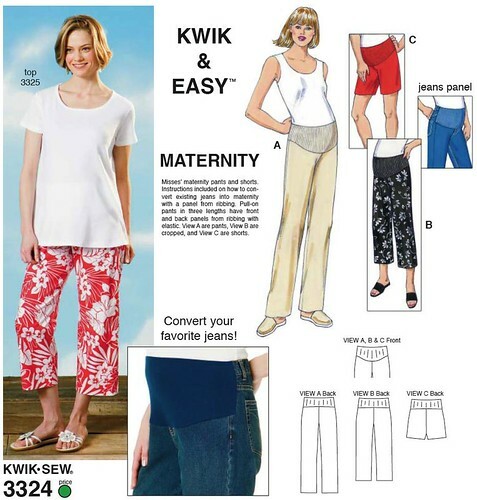 I made the Kwik Sew pants pattern a couple of times during my last pregnancy. They were very comfortable and super easy to make. 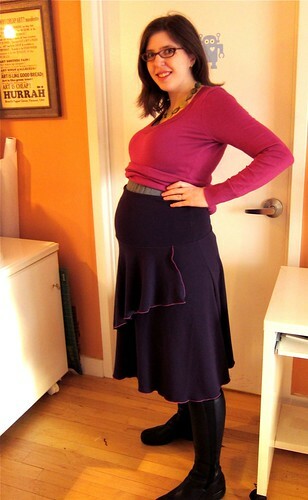 I had a couple of skirts that I loved early in my pregnancy, but toward the end I couldn't bend down (i.e. squat) comfortably in them. ;) Your skirt looks more roomy than mine were, though. Love the black and white fabric! K. Line I hadn't seen that tutorial but the Kwik Sew pants come with a panel for a similar type of conversion--I just don't own any RTW pants that would still fit over my hips and thighs even with a knit panel! So if I have to buy RTW pants anyway, I'd probably just get maternity ones in a larger size. I might convert some skirts that way, though. I do still have a pair of maternity yoga pants, now that Sarah mentions that... and some leggings. But we'll see--I just think by the time I got around to sewing these pants I'd only have them for a few weeks. I've only ever made one pair of pants and they were a loose-fitting disaster.